Life is full of change…shifts in employment and relationship status, living situation, health; recovery from loss or addiction. How do we flow through the waves of change? Where do we want to go in our lives? What’s getting in the way? What gives us the strength and hope to achieve our dreams? 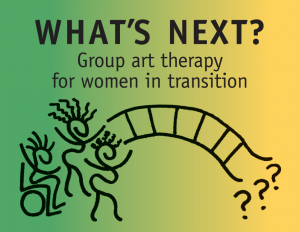 We’ll use art activities to explore these questions and discover some answers in a small, supportive group. We will experience the power of sharing wisdom, humor, pain and compassion in the ancient healing space of the circle. Artists are welcome; this group is also perfect for those who believe that they “aren’t artists” or “can’t draw.” Just as life is a journey, not a destination, our art is about the process, not the product. We’ll create collages, build bridges, make mandalas, and more. All materials provided. Where: Oakland location, wheelchair accessible. When: 8 week groups meets Monday evenings from 7:30 – 9:30 p.m.
Next cycle begins June 10, 2013. Please email or call for fall cycle dates. $400 – payment plan available. Register for this group. Please email or call me at 510-414-9728, with questions or for more information.